A few weeks ago, my 6 year old daughter Hafsah was fighting her bedtime. She claimed to be hungry, even though she had a hearty supper AND a bed time snack. “But, I’m not tired, why do I have to go to sleep? !” she asked over and over again. As the both of us left Idrees’ room after tucking him into bed, I closed the door, but realized seconds later something was holding me back. When I glanced back, I realized my dress had gotten stuck in the door. 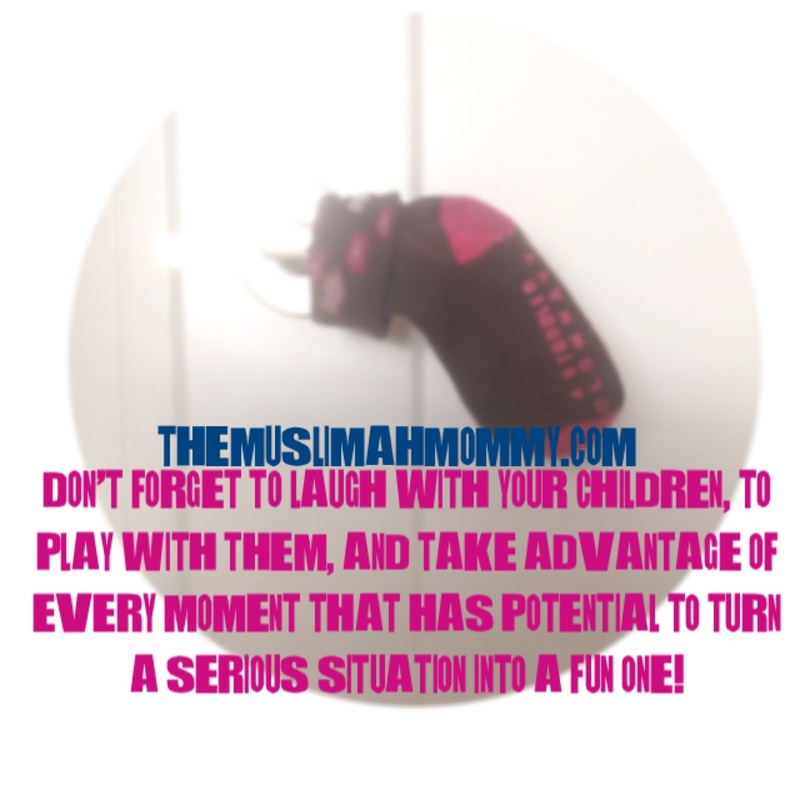 As soon as Hafsah took notice she burst out into uncontrollable laughter! Walking into the bathroom to brush her teeth, she was still laughing hysterically and she even attempted to reenact what had just happened by purposely closing the bathroom door on her night-dress. Now, we were BOTH laughing, and Madina had joined in on the laughter as well! A few minutes later, I went into her room and noticed a sock on the floor. I picked it up and put it on her door knob and said, “now your doorknob will stay nice and warm during the night.” She started laughing again, and with that I kissed her forehead and walked out of her room. I was happy and content knowing that Hafsah’s night took her from complaining and whining to laughing and having some fun! It really is the small unexpected moments like this that can make a huge difference.